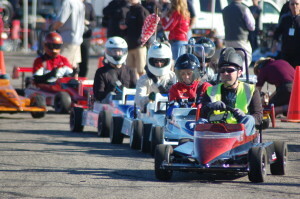 ST. GEORGE – A bright, sunny day greeted racers at the Ridge Top Complex Friday morning as 30 teams from near and far took to the tarmac in the 15th annual SkyWest Mini Indy charity race. Sponsored by SkyWest along with the City of St. George and benefitting United Way Dixie, the Mini Indy is an amped up go-cart race featuring custom paint jobs, fancy rims and some exciting driving. 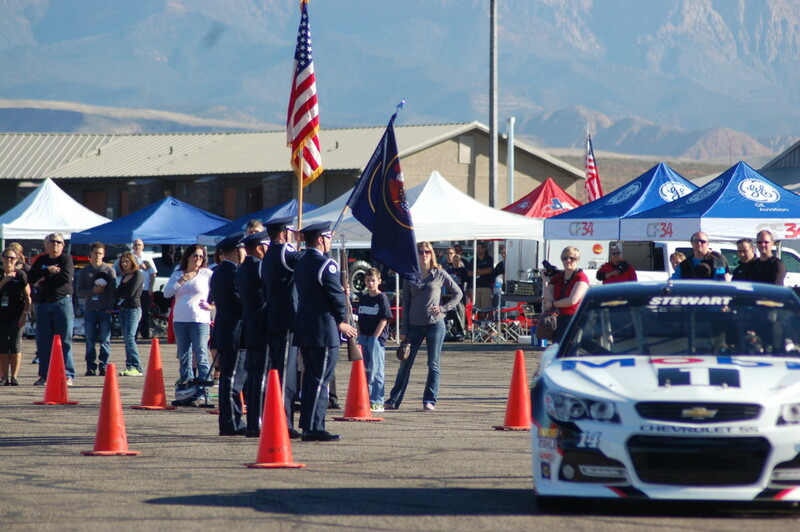 The race was kicked off by a thrilling sky dive followed by the presentation of the colors and the singing of the national anthem. After the ceremony, participants and spectators alike were given a special treat as the Mobil 1 stock car – NASCAR driver Tony Stewart’s car – opened up the initial heat by leading racers on the first lap. 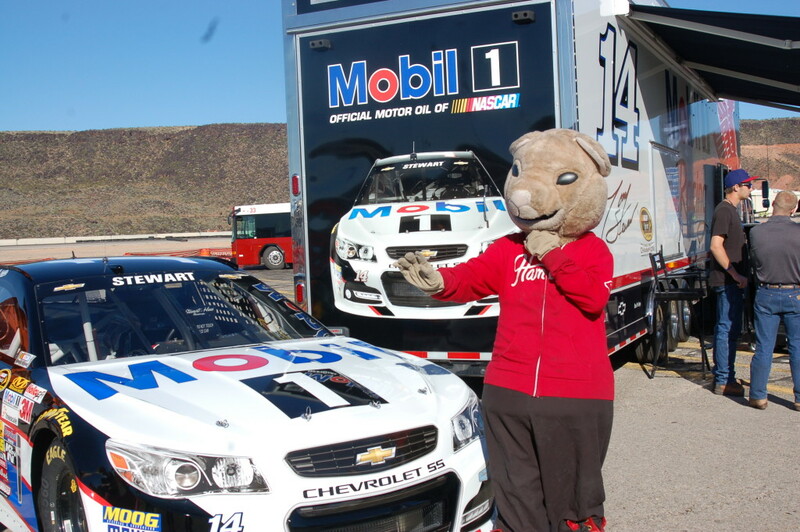 After the lead lap, the Mobil 1 car was on display for spectators and participants to take photos with and admire. 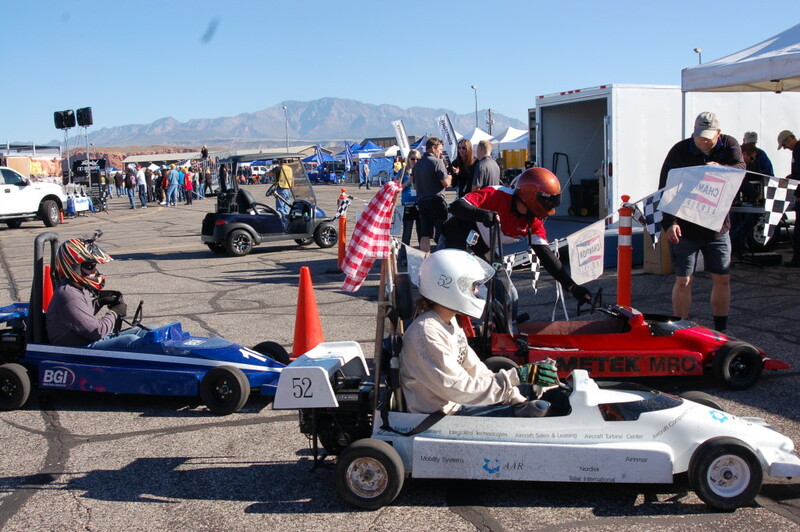 “For the past 10 years, ExxonMobil has supported the Mini Indy charity race, sponsored by SkyWest Airlines and the city of St. George, to benefit United Way Dixie and the SkyWest Scholarship Program. 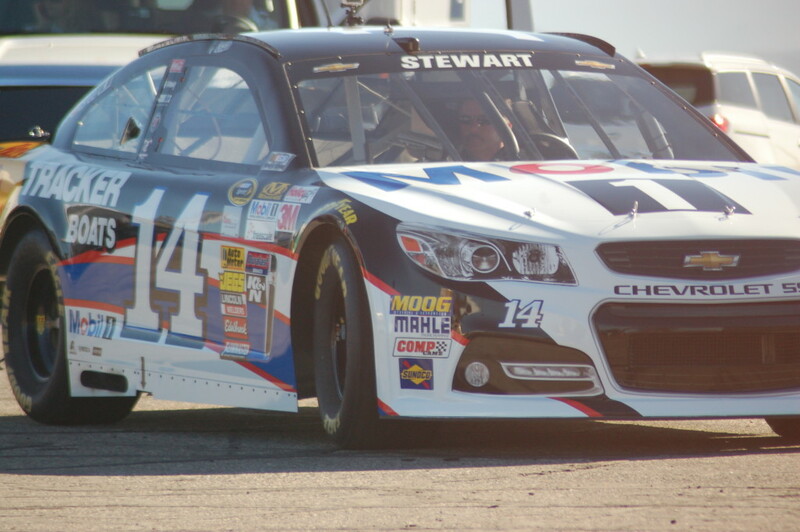 Each year, we look forward to cheering on the racers and to providing Mobil 1 Racing Oil for use during the competition. 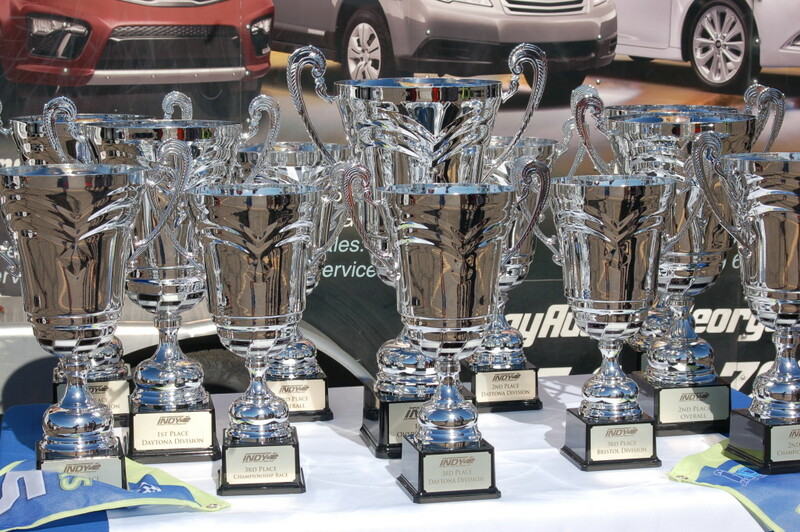 This is a great event and we’re proud to have been a part of it for the past decade,” ExxonMobil Americas Aviation Sales Manager, Aimee D’Angelo, said. 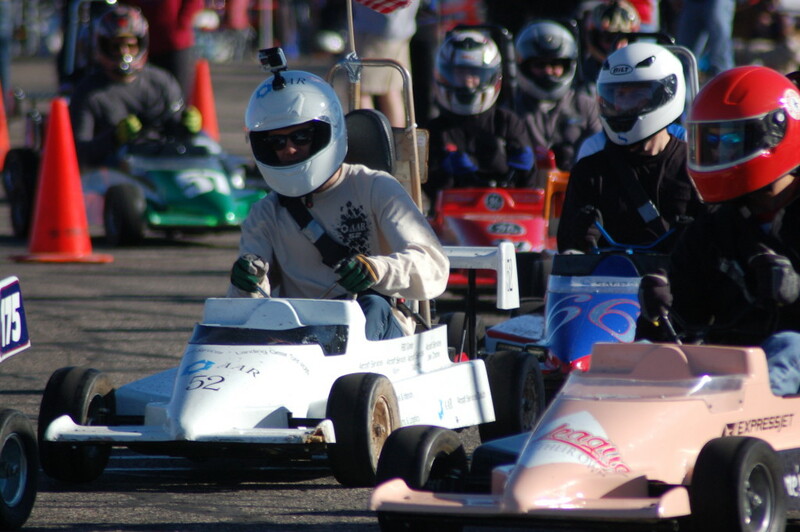 The Mini Indy racing action followed and provided a few thrills of its own as race teams navigated the “Ridgetop Raceway” course in their quest for glory. 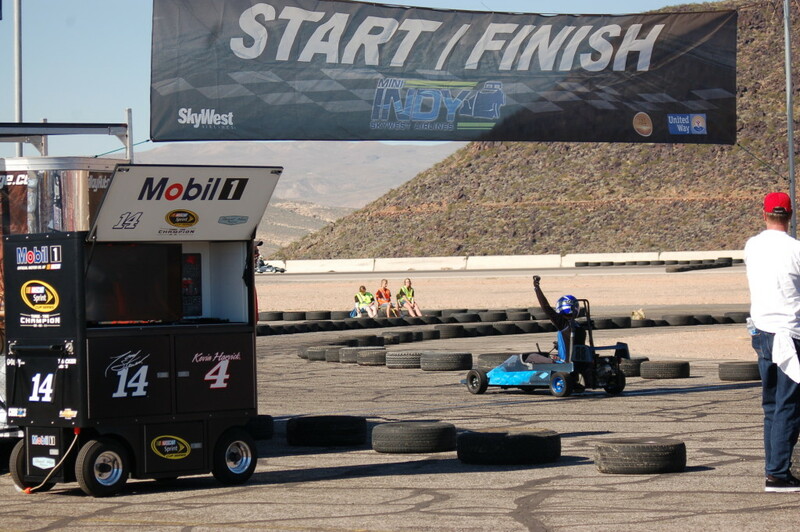 Race teams were made up of different SkyWest vendors and manufacturer’s, Marissa Snow, of SkyWest corporate communications said, as well as community teams representing Dixie State University and the City of St. George. 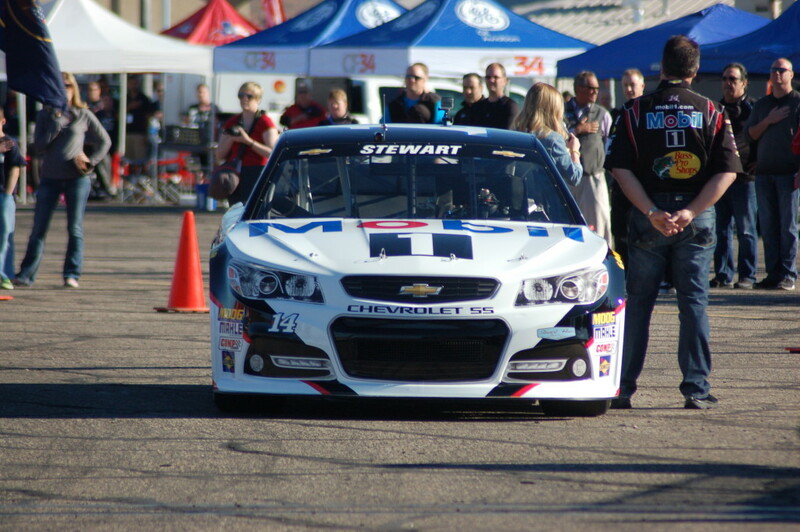 Trophies were handed out to heat placers and winners as well as the top three overall racers, Snow said. 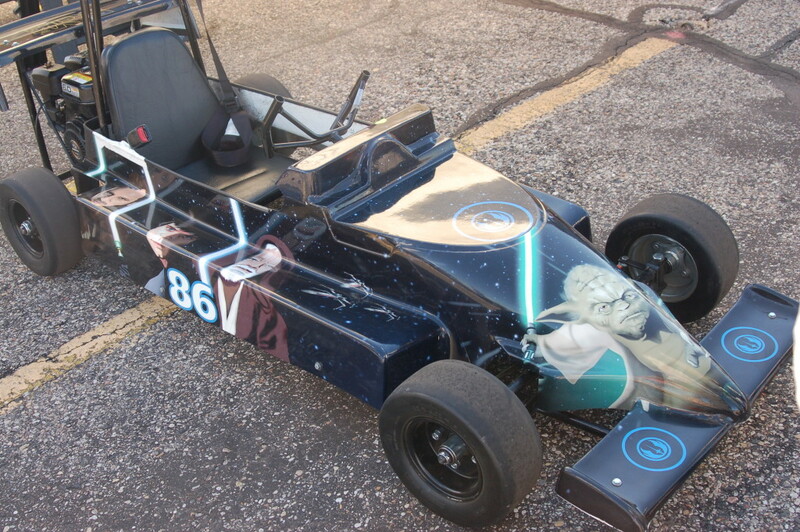 Additionally, prizes were handed out to the teams with the best paint job, the fastest pit crew, best team uniforms and much more. In the event’s 15-year history they have raised nearly $1 million for United Way Dixie, Snow said; money that directly benefits charities and nonprofits in Washington County, Rebekah Pectol, United Way Dixie executive director, said. Great charity event! 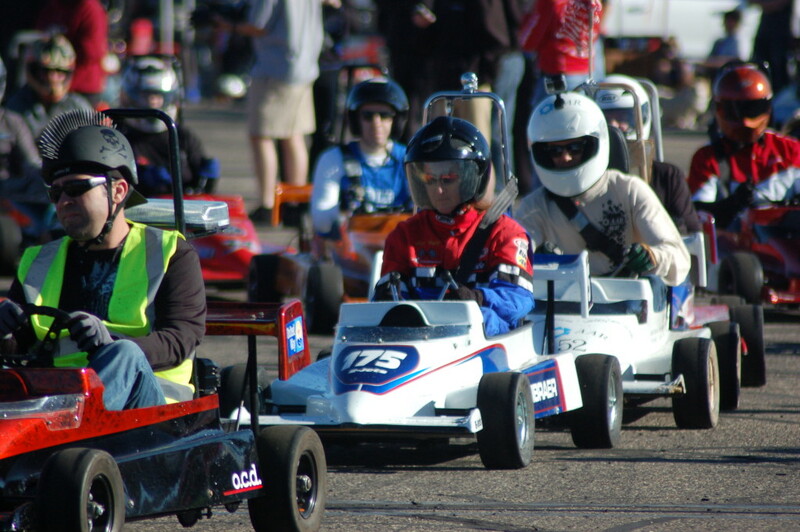 St. George needs a real Kart Racing track! 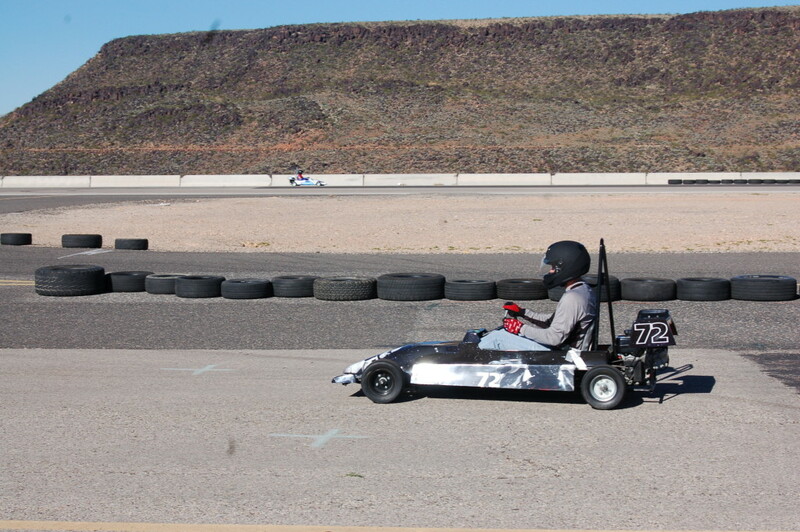 Shifter Karts and the like.